Release Forms are certain documents that allow one of the involved parties to abandon the other party’s liability for a claim. These forms are commonly used by film producers, directors, photographers, composers, and all other professional people who work in the entertainment industry. The form will contain the details of an agreement contract between an individual and the producer. By signing the Release Form, an actor allows the producer to use his images and videos with a number of limitations and terms, and the producer will have few of the rights for the output of their production. The release will also contain the copyrights and the termination of a litigation. What is a Copyright Release Form? 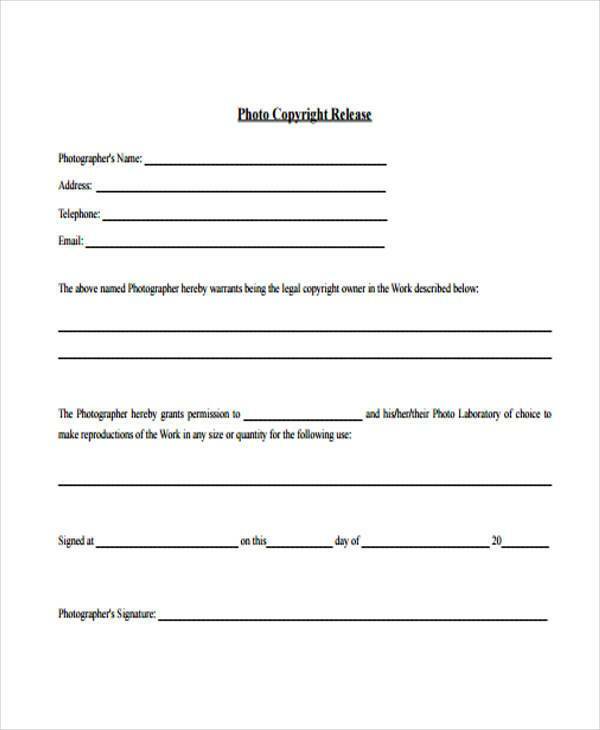 A Copyright Release Form is the type of document which is designed for protecting the rights of the copyright owner. 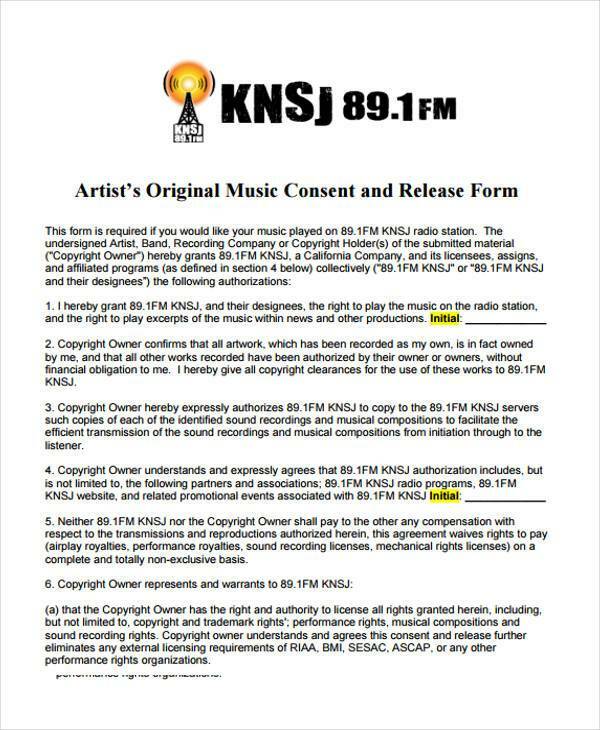 This form is evidently used in most countries where the government gives a protection for the outputs and works of original artists, authors, and producers which can be reproduced by a third party. Some copyright owners allow other individuals to be a copyright holder wherein he can use the outputs for reproduction, and for distribution. The Release Form will state the boundaries for the rights of the copyright holder, such as limiting places where the output is to be distributed. What’s in a Copyright Release Form? The Produced Output. This will include the title, the descriptions, and the identification numbers of the output. The Author’s Name/s. The full name of the organization or the studio who created the work will be stated in this area. The Rights and Liabilities of the Copyright Holder. This outlines the limitations on how the output will be used. The Terms and Conditions of the Agreement. The reasons and sanctions in the event that one of the parties have breached the contract should be explained under this section. The Signatures. A notarized attorney may also seal the contract together with the signatures of both parties. 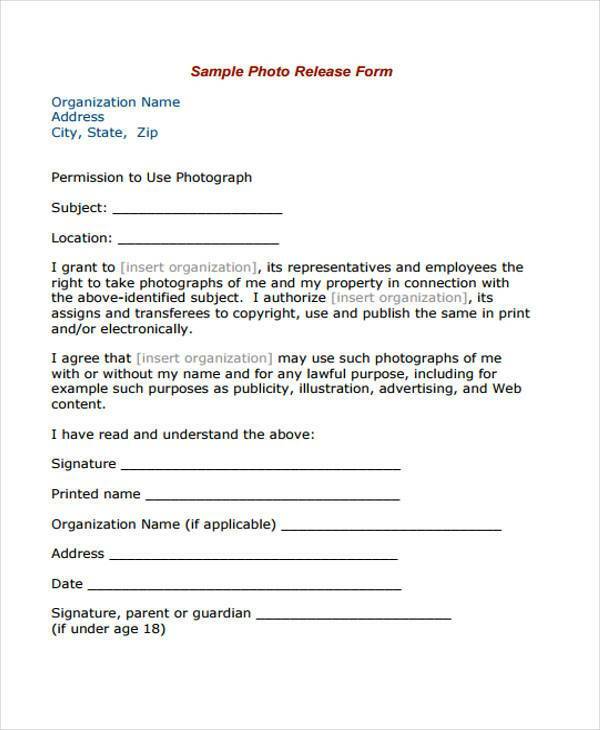 Photo Copyright or Photo Release Forms – This document will state the rights of the copyright holder to use the images created by the photographer. It also includes details regarding the type of usage that the photographer is allowing for his images, whether he allows mass production or for one-time use only. Logo Copyright Release Forms – Promotion and advertising are two main purposes for this release form. The designer of the logo may indicate in the form if he will allow the copyright holder to use the logo for a particular website and in business advertising. Artist Copyright Release Forms – Paintings, drawings, sculptures, and all other forms of artwork need to have a release form when it is sold to a third party. The artist may include terms and conditions with regards to distorting and altering the structure of the artwork. 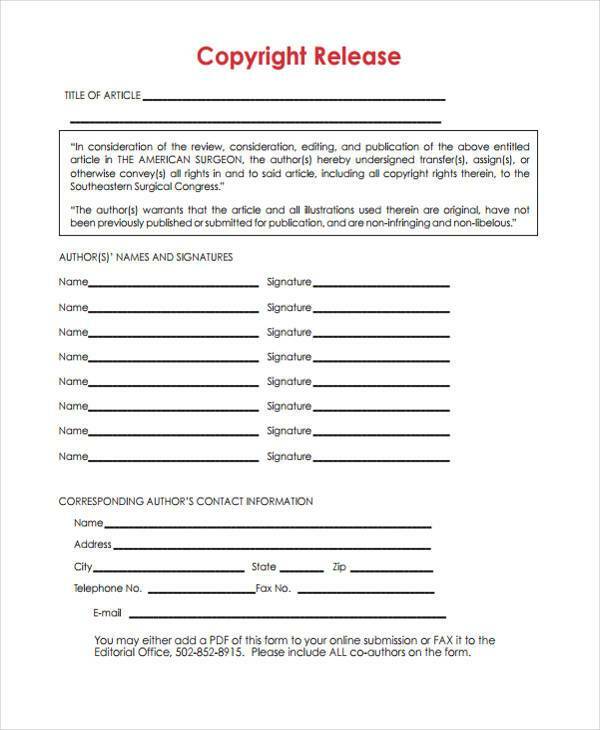 Author Copyright Release Forms – This form is for book writers and manuscript makers. It contains the title of the write-up and the manuscript identification number. 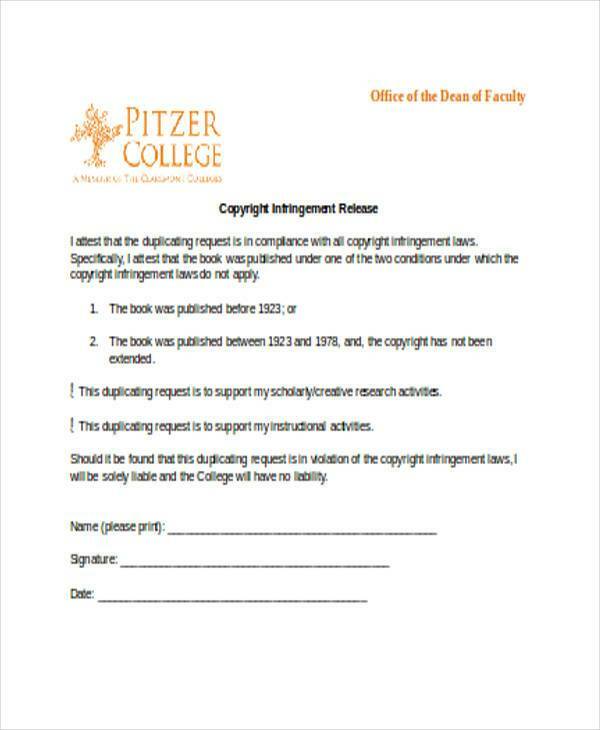 The author may give the copyright holder the rights to publish the contents of the book or may limit the holder to a number of pages as a sample publication on a website.